Former school board member Pedro Rodriguez launched a television ad campaign this week to get his campaign message out. His first ad aired during the Yankees game on Sunday, he said. “We have been hitting the streets and meeting with voters every day and this is the first step to get my message out in mass to the residents of Paterson,” said Rodriguez on Tuesday afternoon. Rodriguez’s television spot rails against government corruption and waste. 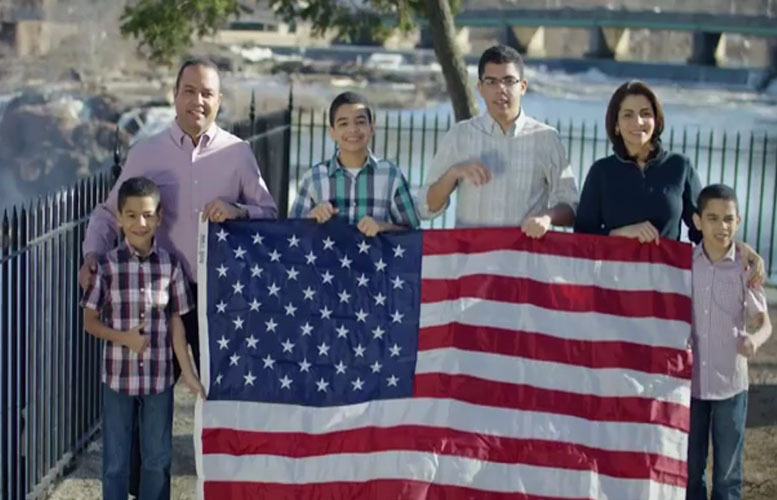 The 30-second ad asserts Rodriguez is “tough on crime” and “defends our values.” His family is shown holding a large American flag at the Great Falls and leaving a downtown Paterson church. Rodriguez is in a six-person race for the city’s highest office. His TV ad will air in both English and Spanish on television networks in Paterson for the next five weeks. Rodriguez paid $10,000 to produce all of his campaign ads. It also covered part of the placement.